My friend Paul had a bubble balancer that his father purchased new about twenty years ago, and was willing to lend it to me. 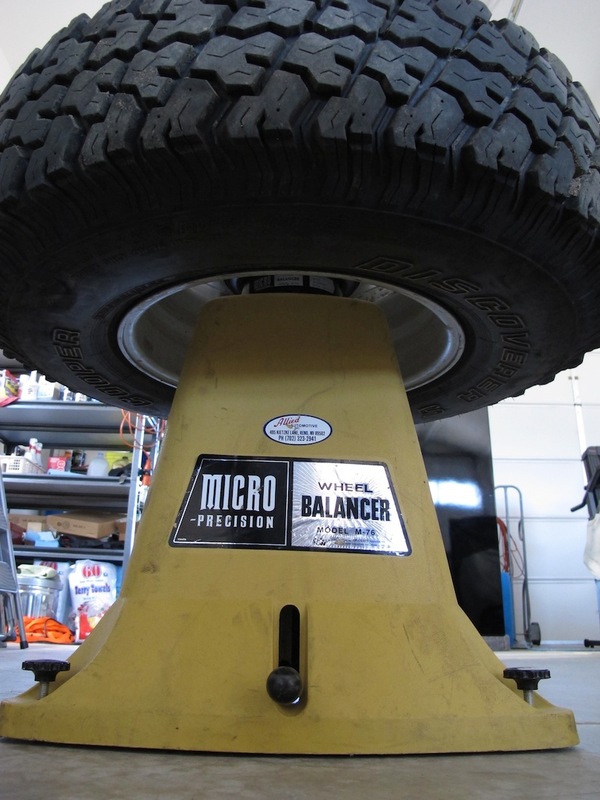 They used the balancer on a regular basis to maintain their tires when dad, mom, brother, and sister were all driving thousands of miles a month as couriers. It seemed like an interesting idea, and since I typically have my tires spin balanced using the static (single plane) method, which uses less weight and seems to work well for heavy light-truck RV tires (as they used to be called) I decided to give it a try. This is one of those things that is better written about a few weeks after the exercise, as the hour-by-hour, day-by-day report would have been a bit too much to share, and would have covered your screen with dirt, sweat, and a few expletives. Like any new skill, there was a learning curve. I’d actually used a bubble balancer about twenty-five years ago when I briefly worked in a tire shop during my youth. Back then, the bubble balancer was only used for the thrifty folks who purchased a tire and didn’t want to pay for a machine spin balance. I didn’t bust tires long enough to become a bubble balance expert, and whatever knowledge I once had using a bubble balancer had long since faded and I was starting over. Computers are surely a blessing and a curse, but when it comes to finding information the web is an invaluable resource. I can’t imagine having to go to a library and search through volumes of old books and magazines to find information on using a bubble balancer. Though like many things on the web, one must sift through the many of opinions hearsay to find proven techniques that work. It turns out there is more than one way to use a bubble balancer, and one of the methods was even patented!